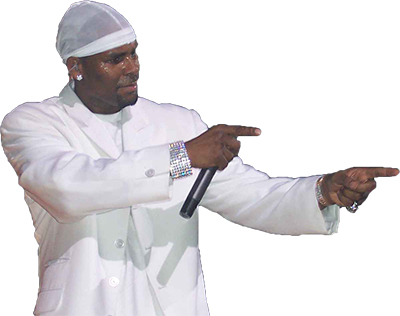 New reports reveal that R. Kelly is planning to revive his Trapped in the Closet hip hop opera with a new set of installments slated to air on IFC later this year. The new videos will continue the ongoing plot focusing on Kelly’s alter ego Sylvester, starting with Chapter 23. Since R Kelly can’t stop getting trapped in the closet (seriously, 23 times now), this seems like a good time to discuss the importance of child-proofing your closet doors to ensure no one in your home winds up trapped in the closet. Each year about 2,500,000 children wind up accidentally injured or killed in their homes by potentially dangerous hazards. To remove one of them, get a bi-fold door lock to keep your kids out of the closet, where there may be dangerous cleaners, heavy boxes and other items that could pose a danger to young children. Bi-fold door locks are inexpensive (Amazon lists a decent one at only $4), and easy to use. Also, try storing particularly dangerous items in high places, so even if your child breaks into the closet, they won’t be able to reach the hazardous materials. Child-proof your doors and make sure no one in your home gets trapped in the closet. This entry was posted in Celebrities, Closet, Furniture, Storage, Wardrobe and tagged bi-fold door lock, child proof doors, home safety, infant safety, r kelly, trapped in the closet. Bookmark the permalink.